Hinkley is a 20th Century solution to a 21st Century problem. Bigger is no longer better. There are faster, cheaper, cleaner and smarter ways to deliver affordable, secure, low carbon electricity to Britain’s businesses and consumers. Nothing about this deal is good for Britain’s hardworking families. They will pay the bill for decades but most of the jobs will go abroad. It is a bad deal for consumers, for the climate and bad for the country. The Prime Minister has missed a real opportunity to set Britain on course to a more productive and secure future. Instead she has committed us to an expensive and anachronistic energy policy that will leave Britain behind in a rapidly changing world. Digitisation is increasingly making it possible for people to be both consumers and producers. It does this by allowing them to connect directly to each other. Through Uber and AirBnB this has begun an accelerating revolution in the taxi and hotel businesses. This is happening in energy too. The falling costs of renewables and batteries and our growing capacity to manage big data are now making a similar rapid transition in the way we generate electricity. Large centralised power stations of any kind are a barrier to this transition. This is particularly so when they are as big, 3.2GW, as Hinkley. May’s decision to go ahead with Hinkley will slow down, and increase the cost of, making this transition in Britain. It will mean we will fall behind the rest of the developed world in building a flexible electricity system fit for purpose in the 21st Century. But this is not the only problem with Hinkley. The Investor Agreement that Greg Clark will sign with EDF is an irrevocable index-linked ‘take or pay’ contract to purchase 35 years’ worth of electricity from EDF at more than twice the current wholesale price. This will cost British consumers £37 billion in subsidy, four times that originally forecast.1 It means Britain’s electricity consumers will pay more than £1 billion/year in subsidy to EDF for 35 years. It will prevent Britain’s consumers buying cheaper electricity if it would displace that from EDF. Furthermore, this deal binds future governments. It is a treasured feature of British constitutional and democratic practise that one Government cannot bind its successors. This raises important constitutional as well as economic and energy policy questions. Despite these profound implications the business case for the deal with EDF has never been subject to informed public scrutiny. Indeed, the Government has consistently refused to publish the analytic documents underpinning it. 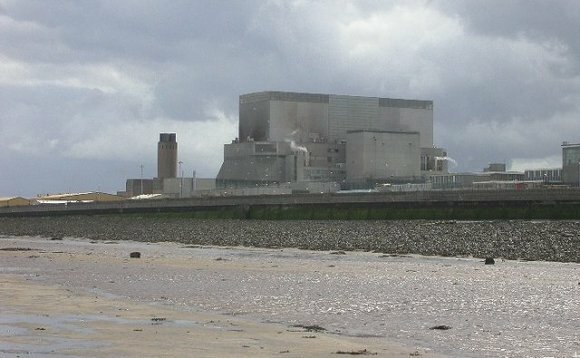 The National Audit Office has already raised doubts that Hinkley represents value for money in the light of developments, including significant reductions in electricity demand forecasts, since it was first proposed.2 The National Infrastructure Commission has identified a package of other measures that could provide affordable, secure, low carbon electricity at lower cost. More recently, the National Grid has cut its forecast of the need for new centralised generation capacity in Britain by more than 50%. The truth is that Hinkley is a ponderous white elephant at a time when the pace of change in technology is accelerating and putting a bigger premium for electricity systems on flexibility rather than size. No-one has ever suggested Hinkley will be flexible. Fortunately, Hinkley still has to overcome a number of obstacles before the elephant escapes. The State Aids clearance for the UK subsidy is under challenge by the Austrian Government and others in the European Court. We are still waiting for the court to decide but if it annuls the European Commission’s decision then the current deal will fail and the UK will have to think again about how to pay for Hinkley. EDF is already in such financial difficulties that it is being bailed out by the French Government in order to be able to afford Hinkley. Greenpeace has obtained a robust legal opinion that any such bail out will trigger a State Aids inquiry by the Commission. This will take time and even if the Commission does grant approval there is a high probability of its decision also being challenged in the European Court. Even in the most optimistic scenario, Hinkley is unlikely to produce electricity until 2030. There are cheaper, faster, cleaner and more reliable options available to deliver affordable, secure, low cost electricity to British consumers. – electricity from solar power is now also cheaper than Hinkley, having fallen by half in the last five years. From almost no solar panels in the UK, a third of a Hinkley has been added since 2010. Half of that was delivered in just 18 months. So what about when the sun doesn’t shine and the wind doesn’t blow? As the former CEO of National Grid pointed out two years ago, ‘baseload’ is an outmoded concept. The fact is that no generator runs all the time, not even nuclear. Changes in renewable availability are highly predictable. This allows smarter management of the grid to cope with their variability. Nuclear reactors fail, or in industry terminology suffer an ‘unplanned shutdown’, regularly. About a quarter of Britain’s nuclear fleet have unplanned shutdowns each year. Unlike the weather which we can predict days or weeks in advance a Hinkley outage is not predictable which means you have to be able to switch on 3.2 GW of spare power instantly. Because they come in big, unpredictable lumps, they are more of a problem than renewables variability. In any case, as the fast falling costs of batteries follows down those of wind and solar, the intermittency of renewables becomes even less of a problem. The decentralised energy system that is the alternative to Hinkley has one other advantage. With Hinkley electricity bill payers will receive an ever bigger bill through their letter box. In the renewable energy future that is better for Britain they will not only get a smaller bill, they’ll also receive a cheque. 1. This is also twice the largest figure presented to Parliament in the Departmental Minute of October 2015 that sought authorisation to take on the liabilities of the Agreement. This raises the question of whether the Government has the authority to sign the Agreement at this time. 2. The NAO will produce a report on the deal ‘once EDF has taken its final investment decision to build HPC’ NAO July 13th 2016. Unfortunately, this report will be after the Investment Agreement has been signed and so can have no impact on the deal itself.